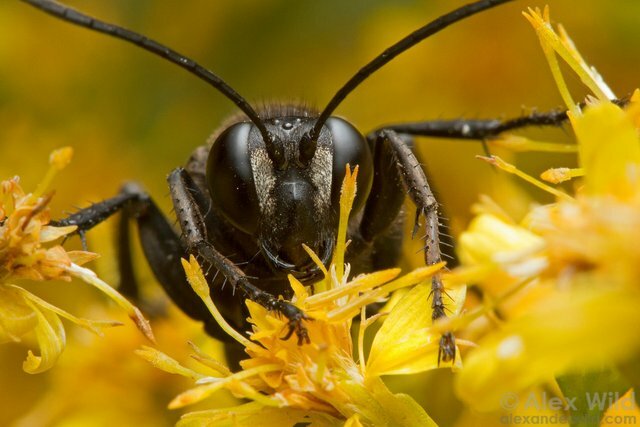 Insect Photography Tips: Insect photography is not normal. You have to be willing to put yourself in odd positions to get the best angles. You don't want to simply stand over a bug and take its picture. Getting down to their level can put a strain on your mind and your muscles. To keep things steady you may want to consider a tripod (or something) to keep your camera in position. Keeping a steady hand (and camera) is important. 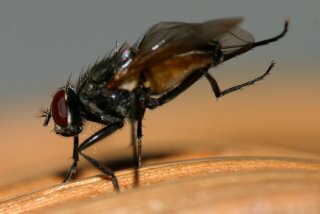 While using a faster shutter speed is often the way to go with insect photography sometimes you're going to find that you need to use a slower shutter speed. Maybe you don't have enough light for your insect photography. That's certainly one reason to use a longer shutter speed. 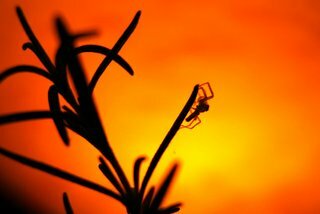 While a longer shutter speed will let in more light, the trade-off is that your own body movement can create blurry pictures even if the insect hasn't moved. This is a time when you may want to use a tripod or a monopod. A tripod or monopod will help you keep your camera steady. Ideally, you've got a lens with image stabilization. But sometimes even that isn't enough. Holding your camera at length while you wait for your bugs to come into frame or turn in the right direction can put a strain on your muscles. Having something to hold your equipment for you can take the load off your muscles and let you focus on what's important, getting that killer shot. A normal tripod probably won't be the best option for you. It likely won't let you get down low enough or be mobile enough for you to make quick changes. 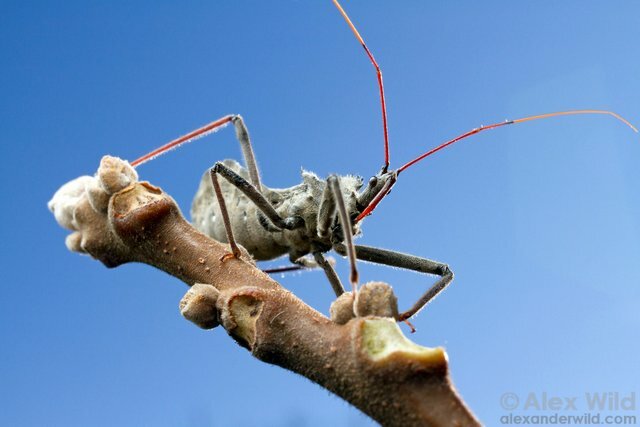 Here's a list of some tripods, monopods and other things that can help you capture those amazing insects shots you're after. 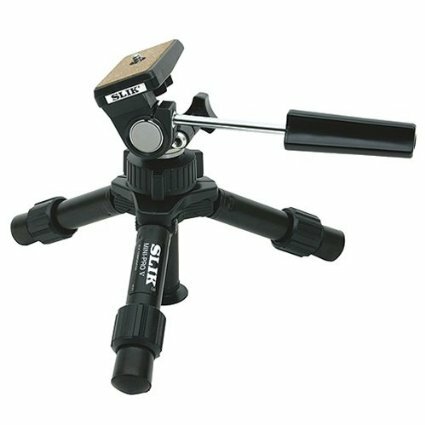 Silk Mini Tripod with Pan and Tilt Head - this will not weigh you down as you tramp through the woods and it will allow you to keep your camera at ground level to make sure that you remain at eye level with the bugs you are after. 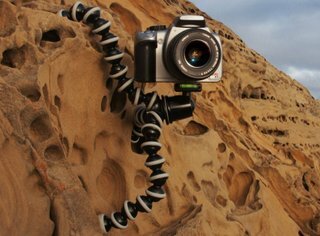 Joby GP3 GorillaPod - this little guy is a wonder. It can serve as a tripod or you can wrap it around a tree to find the best placement. 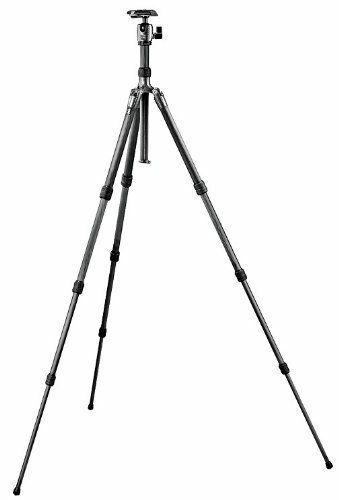 This is also a great general purpose tripod that is very handy in many situations when you need to steady your camera. 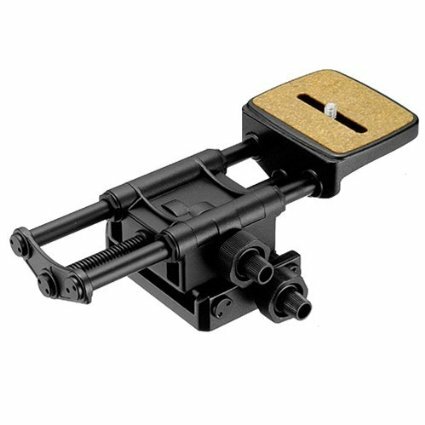 Velbon Super Mag Macro Tripod Slider - this tripod head attaches to your tripod and allows you to slide the camera backwards or forwards to get the composition and focus you are looking for. 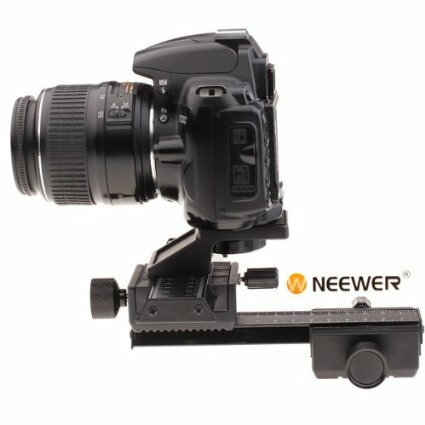 Neewer Macro Focusing Rail Slider - this does basically the same thing as the Velbon Super Mag but at a fraction of the cost. Manfrotto Tripod and Head - The trusty tripod. Even a cheap tripod can be useful. This Manfrotto is not cheap and it's not too expensive. 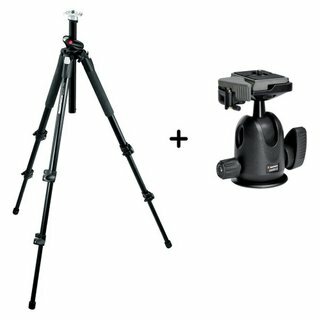 You can pay a lot more for a tripod and head. See below. Gitzo Carbon Fiber Traveler Tripod - This Gitzo can even lay down low so you can be sure to get underneath or at eye level with your subject. It's lightweight, sturdy and made to be carried. Plus, it comes with a head. 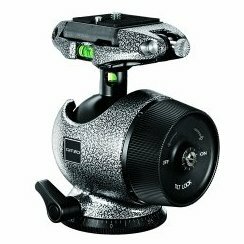 Gitzo Series 3 Magnesium Center Ball Head - lock into your subject with more ease and precision. You'll pay for it but the control you will have over your camera's movement and final placement will be worth it. This is how you wish your tripod head behaved. Do You Need These Things? Maybe. While you will certainly have more flexibility without a tripod or any other of these steadying photo tools, there may be times when you feel that something of this nature will be helpful. Personally, I would not buy one of these tools unless you have already been out in the field and have come to the conclusion that you need it and therefore understand how it will work for you. After your own personal trial and error in the field you will have a better understanding of how something like this can help your insect photography. For example, focusing is extremely challenging in insect photography. Being able to slide your camera backwards or forwards, as you can do with the sliders, will help you move your camera steadily into into the exact position you need to lock in focus. Or maybe you have discovered that your muscles are getting tired trying to hold your camera in such an exact position for extended periods of time. In most cases, you won't need nor will you desire to use a tripod or any other steadying device. But if you do get one after some trial and error in the field, you'll know why you are using it and that will help you get the most of your purchase. Hi there! I'm Scott. 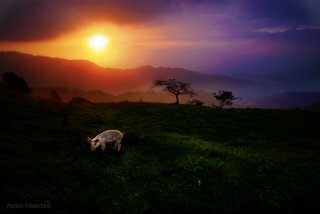 I love photography. It's a constant challenge and there is always something to learn - if you want to learn. For those that do want to learn, I created Picture Power. In time, Picture Power will unite the superhero photographers of the world. Once we are all united, I will give further instructions. 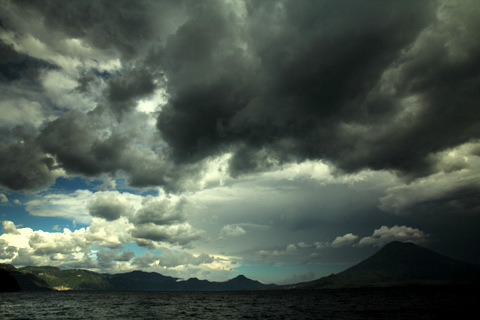 In the meantime, Picture Power serves as a resource for you to sharpen your photography skills. 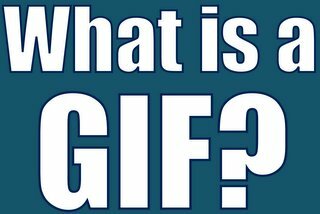 If you don't find the answer you're looking for just let me know and together we'll find a way to ignite that inner superhero photography genius. 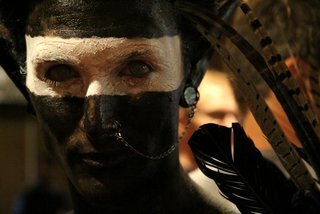 Let me know your thoughts about this site or what you've just read. Leave a comment in the box below. 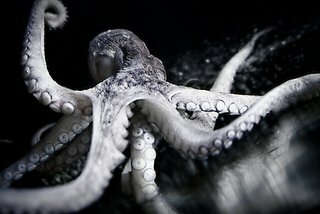 Want to learn how to fight the evils of darkness in all of your photography? 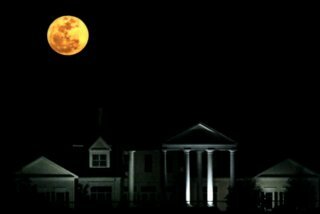 Download my e-book Fighting The Evils of Darkness: A Low Light Photography Survival Guide completely free!